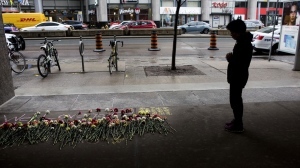 TORONTO -- An anti-immigration flyer has angered Ontario's premier and prompted calls for charges, but a successful prosecution under Canada's hate crime laws faces an uphill climb, a legal expert suggested Sunday. 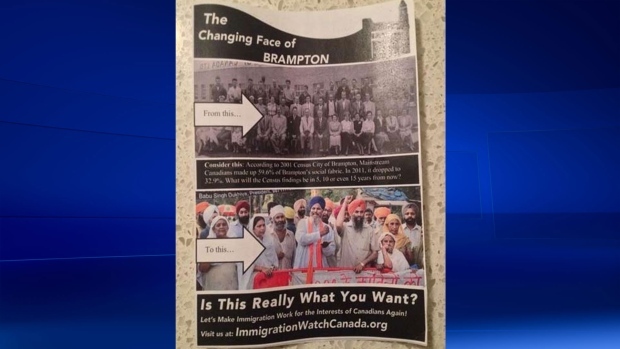 The flyers targeted the Sikh community in Brampton, a city just west of Toronto. The flyers prompted the head of an Ontario Sikh group to call Sunday for criminal charges against those responsible for distributing them. Ranjit Dulay said charges might deter others from distributing such literature in future. "Otherwise... in the future other people are going to start doing that. And they're going to be hard to control," said Dulay, chairman of the Ontario Sikhs & Gurdwara Council. Another Sikh group, the World Sikh Organization of Canada, also condemned the flyers but expressed doubt on whether they qualify as a hate crime. The leaflets show a black and white picture of a group of Caucasians above separate photograph of a group of Sikhs with captions that read "from this...to this..." Underneath the two pictures is a caption: "Is This What You Want?" Ontario Premier Kathleen Wynne railed against the flyers, calling them "hateful" in a statement issued late Saturday. She repeated her comments at a Sikh celebration in Toronto on Sunday. "They can't be tolerated. That kind of divisive action really is not consistent with who we are as Canadians," Wynne said at the Sikh Khalsa day event. She refused to speculate on whether the flyers could bring hate crime charges, saying she didn't want to interfere in a police investigation that is underway on the matter. Employment Minister Jason Kenney, who also attended the Sikh celebration, said the flyers are far outside mainstream Canadian opinion. "The fact that this is a story demonstrates how rare and how unacceptable such expressions are. I think this stuff is on the fringe of the fringe," he said, while also declining comment on their legality. Brampton has a population of 521,000 people, about 200,000 of whom have a South Asian background, according to 2011 census data on the city's website. Peel Region police, the force responsible for Brampton, said investigators are trying to determine if the flyers could be considered a hate crime of any sort. "We've been given the information of their existence, we've seen them and we are looking into them but it's to determine whether or not there's any criminality to them," said Const. Fiona Thivierge. But Richard Moon, a University of Windsor law professor who is an authority on freedom of expression issues, said it remains to be seen if the handouts are "extreme" enough to run afoul of Criminal Code provisions concerning communications that would incite hatred against an identifiable group. "One of the challenges with considering this particular flyer to be hate speech under the Criminal Code is that it doesn't attribute anything to members of any group," Moon said in an interview. 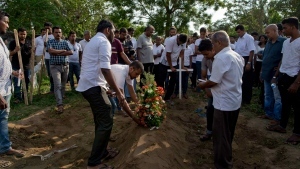 "There is something there -- a claim implicit being made about the members of a particular group but it's so unformed and so unclear it would be a challenge to make the argument that this rises to the level of extreme hate that the Criminal Code catches," he added. A group calling itself Immigration Watch has acknowledged its supporters distributed the flyers. Spokesman Dan Murray expressed little concern about a police investigation. "I suspect they'll laugh," he said in a phone interview on Sunday in which he also dismissed Wynne's comments, calling them "absolutely ridiculous." "Kathleen Wynne got into her present position as a result of free speech and democracy, now she seems to think when she's got her power that she can tell other people who have different opinions that they should shut up," he said in an interview Sunday. Murray said "there will be other pamphlets," in the future and suggested a similar version may show up in the Vancouver suburb of Richmond, which has a large Chinese-Canadian population.